Our 'little black book' of teachers and retreat facilitators, comprises some of the most gifted retreat experts in the industry. These specialists are born teachers and leaders and when it comes to hosting a retreat they know exactly how to lead a group of individuals through a journey of self discovery and transformation. They also understand the specifics of planning and hosting a retreat, which is why they consult to us when we are planning a retreat or retreat ideas. Please email us for further enquires or if you wish to be on our database of retreat experts. Dr Sheri Rosenthal is known as one of the most sought after retreat strategists for coaches, speakers, and authors — and is the owner of Journeys of the Spirit Travel®, a boutique agency specializing in the planning and management of group travel. Through her Wanderlust Entrepreneur Community and her signature course, The Retreat Blueprint Program, she has taught thousands of facilitators how to design exceptional retreats that allow them stand out in their niche. She is famous for helping clients plan, fill, and profit from transformational retreats that change lives in a huge way while adding serious income to their bottom line! She joins the Spa Wellness consulting team as her knowledge, skill and expertise in the area of retreats supports us in creating the best possible retreat solutions for our clients. 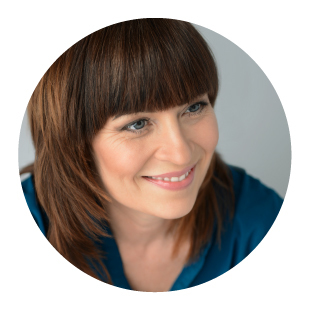 Susana Mei Silverhøj is a passionate Retreat Facilitator, Holistic Health teacher, Transformational Author, Speaker and Group Coach facilitator that creates tailored retreats and events around the globe for groups, women, couples and families. As the owner of Theos Heart of Copenhagen, she teaches Heart Empowerment and specializes in assisting people in experiencing a conscious, healthy, empowered and magical life by creating balance between body, mind, heart and soul. She is the published co-author of the book “No Mistakes – how to change Adversity into Abundance”, author of “Flow Food – easy organic food on a budget” and the forthcoming transformational book: “Goodness, Grace and Great thoughts on Fire”. With two Master degrees in Psychology and Education with Professional Orientation, trained Heart IQ Coach, senior lecturer at Nutrition and Health, Hotel Manager and High Performance teacher, Susana Mei is skilled at tuning into her clients so as to deliver transformational experiences and journeys. Caitlin Reid is a Wellness Retreat creator and host, with a background in Holistic Physiotherapy, Pilates, Fitness and Wellbeing. Caitlin works with you to demystify the confusing world of wellbeing, and help you live your happiest, healthiest life through evidence-based wellness. Creating accessible wellness options for everyday people, Caitlin blends evidence-based health with inspiring wellbeing to help everyone of all ages live their happiest, healthiest lives. With so much information on the internet about health and wellness, as a Physiotherapist, Caitlin can help demystify 'how to be healthy' with real, effective ideas guests can learn on her retreats and practice once they get home. Not an advocate of diets or kale cleanses, Caitlin's science-based holistic approach is everyone's secret weapon to living their best life. Caitlin has nearly ten years experience in Physiotherapy and holistic health and has worked throughout Australia, New Zealand, Canada and Asia. Samantha Gowing is the Dr Seuss of health and nutrition. She has dedication and enthusiasm, knowledge and belief, which is second to none. Sam retrained in natural medicine in 1999 and has continued to raise awareness around the benefits of organic food ever since. A passionate entrepreneur, she founded her globally renowned business Gowings Food Health Wealth in 2000, which provides culinary and marketing solutions to the wellness industry. Sam holds a Diploma of Health Science, Nutrition and is a member of the Australian Traditional Medicine Society. 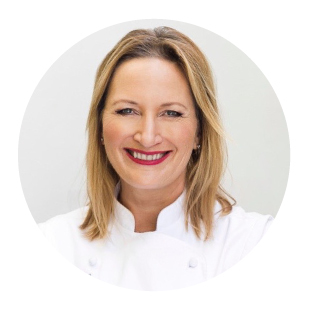 She has certified with Paul Pitchford, author of Healing with Whole Foods and has recently completed a Graduate Certificate as part of her pursuit of the world class Le Cordon Bleu Master of Gastronomic Tourism degree. Samantha consults to Spa Wellness on culinary wellness projects. Jemma Rivera is a truly gifted presenter, teacher and mentor specializing in holistic lifestyle practices and ancient teachings. With her depth of knowledge and over 25 years experience in both the healing arts and performing arts, Jemma is sought after because her programs successfully guide her clients towards achieving life changing results through incorporating ancient wisdom, holistic lifestyle tools and rituals. She is a regular presenter at International Yoga Festivals and Wellness Events as well as to corporate companies. She also facilitates global retreats at exclusive award winning spas and resorts, and has contributed articles to Good Health and Body & Soul magazines. As a consultant to the mind body space, Jemma brings a wealth of wisdom and practical advice on retreat design projects. Her knowledge of medical Qi Gong, Yoga, Ayurveda and other healing modalities for mind and body ensure that the wellness programs she develops are comprehensive, authentic and well thought out. As a person, Jemma brings her heart to everything she touches and is a shining example of what is possible through healthy living. 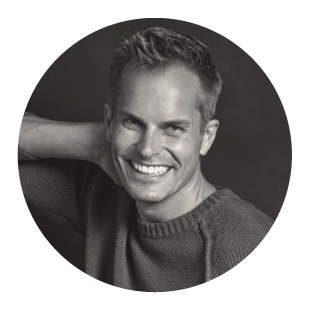 James Allen is an adventure specialist and business consultant. At 22 James became the youngest person ever to climb the North side of Everest. Since then, and for the last 20 years, he has continued to pursue adventures from mountaineering to desert trekking, and has organised and led trips across Africa, Europe, Russia, Asia, USA and South America. James’ success comes from his attention to detail and planning, along with his interpersonal and leadership skills. He believes it’s the culmination of many little things that turn a great adventure into a truly incredible one. He is a Geologist, an Economist and an expert in Polar regions. With a passion for travel, business strategy and creating remarkable adventures, his diverse background strengthens his innate ability to understand the economics of business, human behaviour and the laws of nature.